Child labor is a common sight in India and it happens not in so-called sweat factories, but just about everywhere...on the roads, in families, in shops, in hotels. Often the kids work for their own parents in their shops. 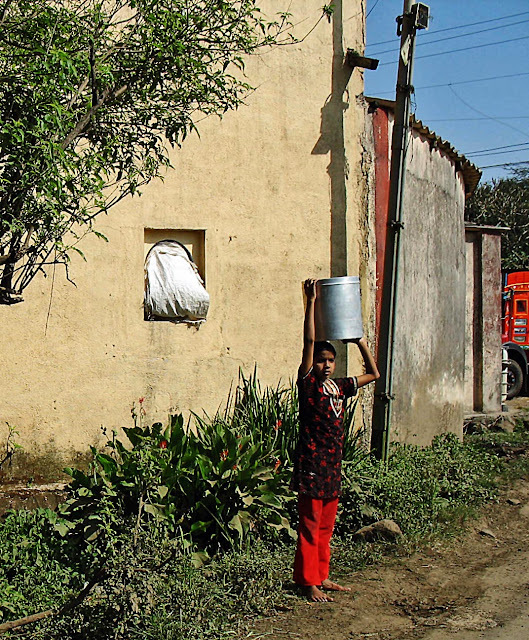 The poor do it to supplement their income. 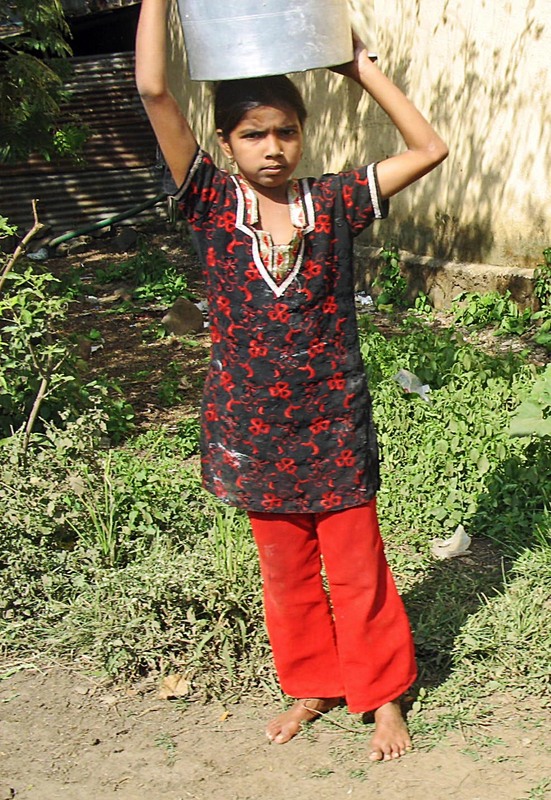 Girls usually do most of the housework while boys take up heavier and outdoor tasks. The problem arises when parents do not send the children to school. 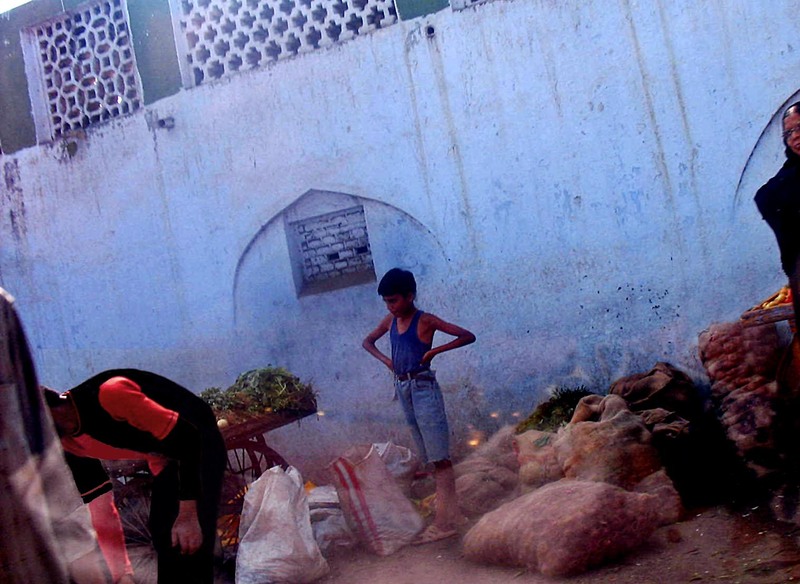 This is a small boy on a street in Aurangabad, working in some sort of workshop. 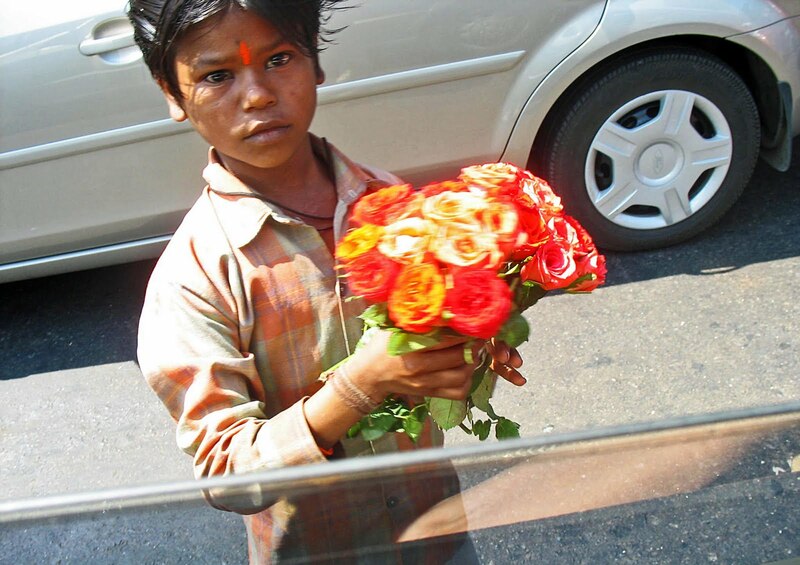 This is a heartrending picture of a very sad boy selling roses on the streets of Mumbai. The sadness is visible in his eyes. His face looks slightly swollen, perhaps due to lack of sleep. 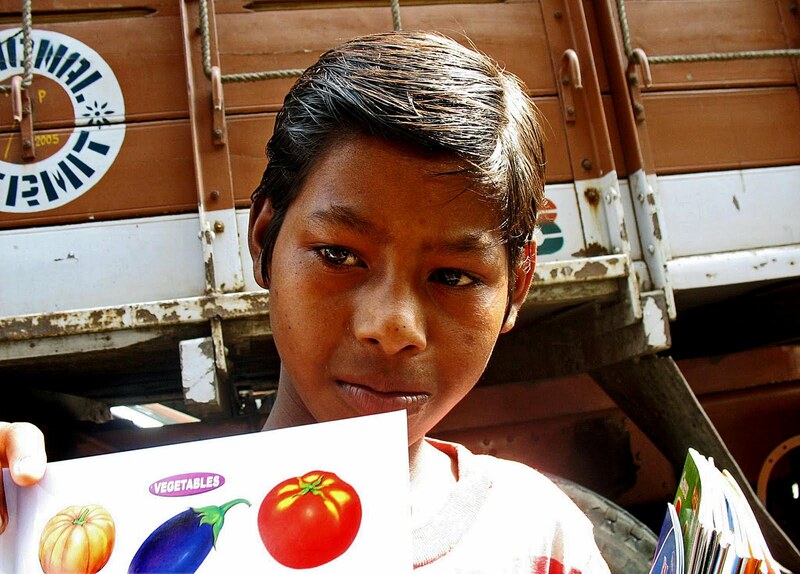 This street child is better groomed and has probably been sent to sell childrens' books on the streets by his parents. Here is a small girl carrying ground wheat from a milling shop. Most Indian families do not use ready-made wheat flour. 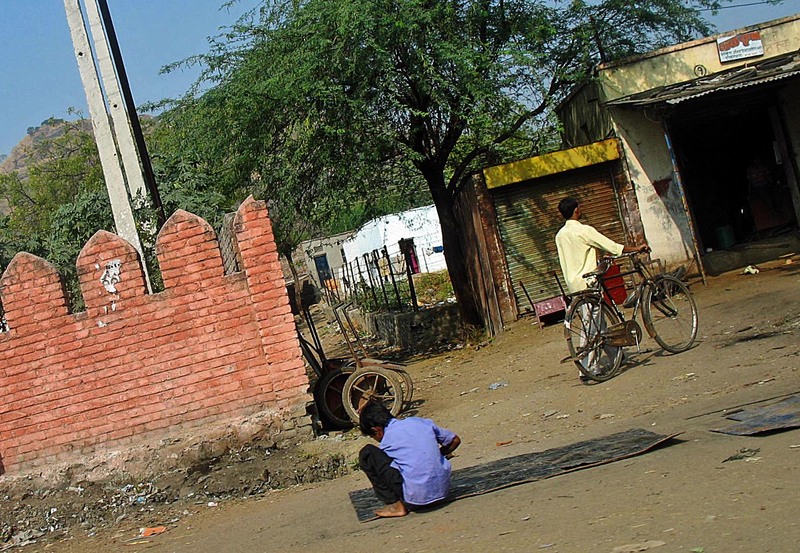 They buy the wheat and get it ground from small mills which can be found at almost every street corner in cities and towns. Here is a close-up of the same girl. This girl was seen on the outskirts of Mumbai. She doesn't look more than ten years old. This picture is taken in a small town town in Maharashtra. Here is a boy busy with some work concerning loading and unloading.